There is just something about good tasting chicken that just hits the spot – whether fried, grilled, steam or roasted. With the right recipe, you will be treated to a decadent treat of juicy flavourful meat and crispy or tender skin. It’s no wonder that chicken is a staple in many Malaysian households, and with blockbuster season rolling in, there is no better time to grab a tasty treat, especially on the weekends before a movie. Let out a sigh of contentment as you envision your chicken prepared exactly the way you like it – so juicy, tender and succulent from the first bite. 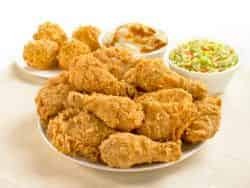 For some, fried chicken could easily be the definition of “soul food” whilst some may like roasted or even steamed – we all have our special favourites and much like the movies that we all enjoy, are blockbusters in their own way. 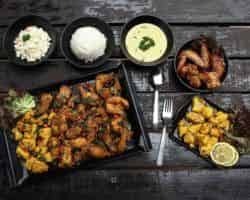 To set you in the right mood for blockbuster season, GrabFood has some of these chicken specialists lined up for your enjoyment and munching pleasure. Texas Chicken has a menu lineup that promises a thrilling journey for any chicken lover. 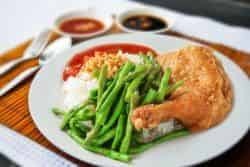 Much like Michael Bay, big name Texas Chicken exploded onto the Malaysian fast food scene with its main breakout star – the chicken with its moist meat and flavourful crunchy skin. Critics just can’t have enough of it! Texas Chicken keeps things interesting all year around its innovative approach, introducing a new chicken flavour every few months, and maintaining quality by choosing the biggest and best pieces of chicken available to keep you coming back for more. An indie fried chicken expert gone major, Lim Fried Chicken started out as a simple stall in Wong Soon Kee coffee shop in Subang Jaya SS14. The star of the show is its crispy chicken thigh that once drew in daily teatime queues to its stall. Its skin leans on the saltier side, perfect to eat with a helping of steamed rice and vegetables or very interestingly, chee cheong fun. 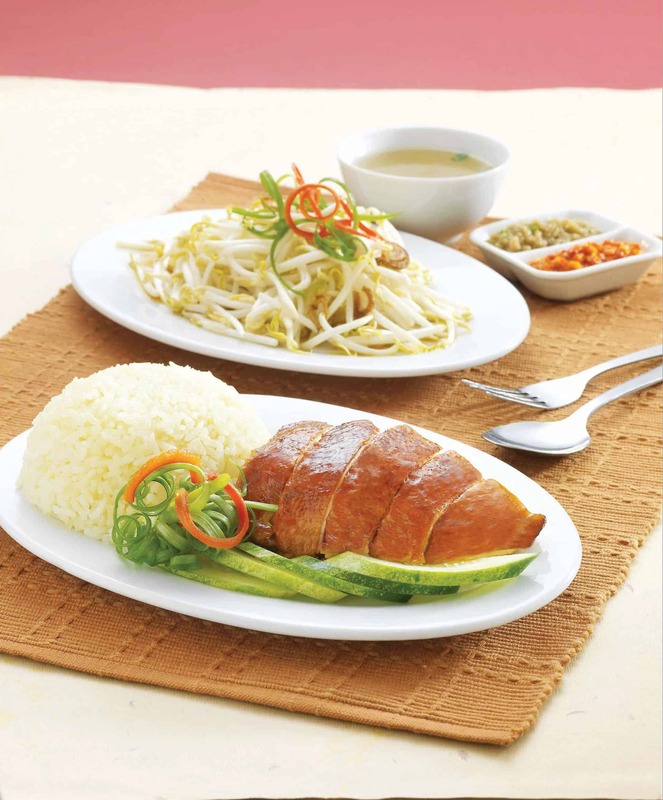 Inspired by a family long recipe for Hainanese Chicken Rice and treasured recipes from Penang, The Chicken Rice Shop nails their menu with the variety of cooking styles for the versatile chicken. Be it steamed, roasted, honey barbeque or fried, there is a chicken dish for different occasions. If rice doesn’t do it for you, The Chicken Rice Shop also has a plethora of local dishes such as curry laksa, nyonya pai tee and Penang famous chicken rolls aka loh bak. Annyeonghaseyo! 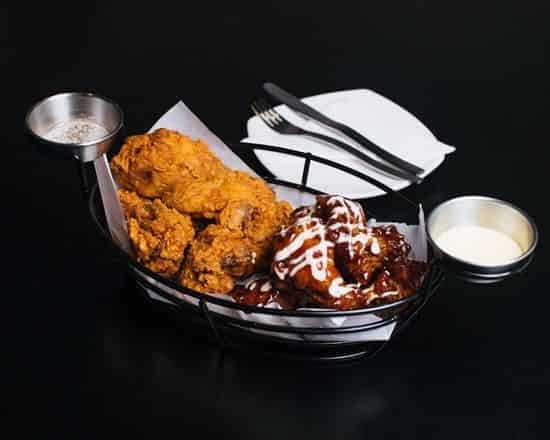 The Café Chicken in Desa Sri Hartamas has Korean fried chicken formula down to a tee and amps it up with a dash of soy or sweet and sour. If you’re looking for more kick or a plot twist, then opt for the fried chicken with melted cheese. This little indie café is not without its own cult following. The place is run by a Korean couple so you know it’s authentic and as good as it gets. Keeping up with the trends, Butter Chicken goes beyond butter and chicken and has created the salted yolk sauce to give fans that oozing goodness to lap up with their decadent deep-fried chicken breast. Indomie lovers will love the Indomie option to swap out with the rice. By keeping its plot and offerings simple, Butter Chicken can really focus on doing what it does best. Feeding the souls of many fried chicken fans. Now coming to a doorstep near you, GrabFood is giving you more reasons to enjoy your favourite chicken meal with the GrabFood Weekend BokBokBokBuster. Starring major chicken A-Listers such as Texas Chicken, Lim Fried Chicken and The Chicken Rice Shop as well as new faces like Butter Chicken, The Cafe Chicken, Goobne Chicken and more, there is bound to be a piece of chicken treat for everybody to munch on at 50% off with a minimum order of RM25. The GrabFood Weekend BokBokBokBuster will run through blockbuster season from 15 March to 5 May, 2019 on weekends only (Friday – Sunday), because weekends should all start on Friday! The 50% off promotion is applicable up to 3 orders per weekend per user throughout the promotion period, with a minimum spend of RM25, for restaurants in the “Chicken” cuisine category. Just key in the promo code “BOKBOK” at checkout when you make a minimum order of RM25 on “Chicken” cuisine category on the GrabFood App at checkout to enjoy 50% off. Promo code is limited to three redemptions per user every weekend during the campaign period. It’s currently limited to 1,500 redemptions per day. Promotion is valid from 15 March to 5 May 2019, on Fridays to Sundays. Promo code “BOKBOK” is limited to orders above RM25 from “Chicken” cuisine type only, from selected merchants. Promo code is limited to 3 redemptions per user every weekend during the campaign period. Limited to 1,500 redemptions per day. Valid for new or existing users. Discount is capped at RM25. A cancelled order nullifies the promo entry.